Staff Selection Commission's Combined Graduate Level (CGL) Examination, 2017 (Tier-I) is being conducted by the commission from August 5 to August 23 for 30,26,599 registered candidates. New Delhi: Staff Selection Commission's Combined Graduate Level (CGL) Examination, 2017 (Tier-I) is being conducted by the commission from August 5 to August 23 for 30,26,599 registered candidates. 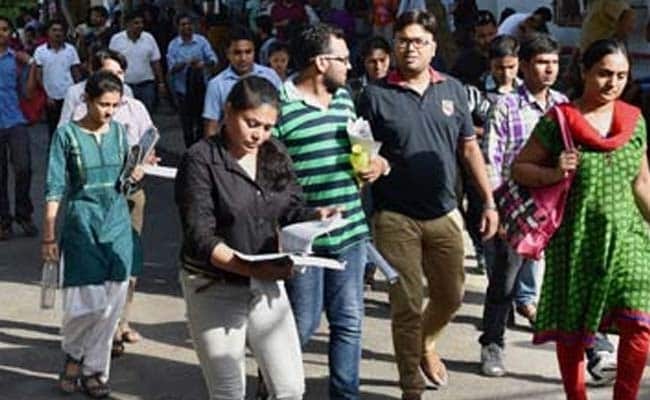 Till August 21, Staff Selection Commission (SSC) has conducted CGL Tier 1 examination for 37 out of 43 batches for 26,63,073 candidates, in which 14,02,331 candidates have actually taken the examination. Average attendance for the SSC CGL Tier 1 exam 2017 is 52.66% so far. According to SSC Commission, So far, the examination has been conducted without any major untoward incident. Though , the Commission in a notification said that, till date, SSC has registered criminal cases against three candidates indulging in exam related malpractices viz. two cases of impersonation and one case of cheating (and not leakage of paper as reported by one local newspaper in Jaipur). "Strict action would be taken against the three candidates as per the Rules of the Commission," the notification said. The SSC CGL examination for all the 43 Batches would conclude on August 23, 2017. After the completion of the SSC CGL Tier 1 examination, the commission will conduct CGL Tier II, CGL Tier III and still tests to select the successful candidates. According to the schedule published by the commission, the recruitment process will continue on next year also. The SSC had declared the CGL 2016 final results on August 4 this year. SSC holds the CGL 2017 (Tier-I) exam for selecting candidates for Tier-II examination for filling up different categories of posts in various ministries, departments and organisations in Government of India. Subject to administrative or public exigencies, final selection through the Combined Graduate Level Examination to specific categories of posts would be according to the confirmed number of vacancies from the concerned Indenting Ministries or Department or Office or Cadres before declaration of results.